Pension underfunding has been a major concern for municipal bond investors in California, Illinois and Michigan. But pension shortfalls can pop up anywhere, and news of underfunding problems is reported first and most thoroughly in local news media. By sifting through millions of irrelevant local media stories for the news that impacts municipal investors, Bitvore can make you aware of pension developments before they have become fully incorporated in municipal bond prices. 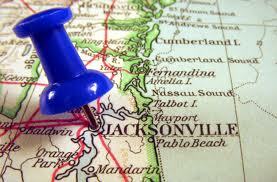 Recently, we have been seeing a lot of pension news emanating from Double-A rated Jacksonville, Florida. In March, a mayoral task force reported that the city's retirement plans were only 50.5% funded and that pension contributions were taking up 18.4% of the city's operating budget – crowding out funding for parks, libraries and road repairs. The task force recommended a range of reforms to the Jacksonville Police and Fire Pension Fund (JPFPF), which accounts for most of the city's pension expense. The city must now negotiate the proposed reforms with the city's public safety unions. But as a Florida Times-Union report on Bitvore shows, these negotiations will suffer an unexpected challenge. The Executive Director of JPFPF – who will be a key player in the discussions – has his own pension deal with the city which positions him to collect at least $278,565 annually. If controversy over this special arrangement derails negotiations over pension reform, Jacksonville bonds face an almost certain rating downgrade and thus lower valuations. For more information check out these articles from local news sources that were surfaced by Bitvore for Munis. Pension stories like this are bubbling under the surface around the nation. You can track these situations like a local by subscribing to Bitvore. Marc Joffe is the Principal Consultant at Public Sector Credit Solutions, where he researches government credit quality. Among his recent publications are studies of Illinois state debt, California municipalities and Canadian provinces. Before starting PSCS, Marc worked in credit technology roles at a number of major banks and as a product manager at Moody’s Analytics. He holds an MBA from New York University and an MPA from San Francisco State University.